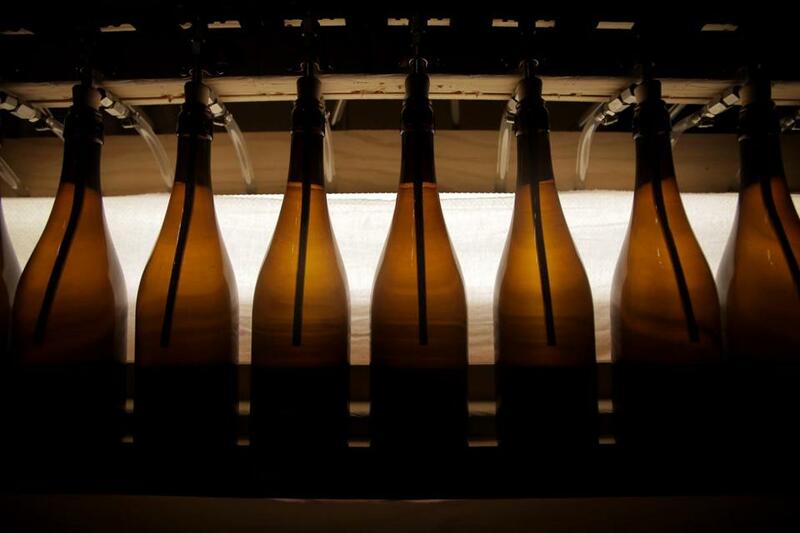 A handmade bottling machine at Carr’s Ciderhouse in Hadley, Mass., in 2014. The state is about to embark on its most extensive rethinking of alcohol regulation since the end of Prohibition. With no limits from Goldberg on which issues it may consider, the group of seven legal and political figures — with input from the public and bars, brewers, distributors, and other companies — will have broad authority to set its own agenda when it meets for the first time later in January. The wide-ranging review was prompted by several controversies arising from the state’s convoluted, post-Prohibition-era liquor rules. Chief among them: the crackdown last summer on the Nashoba Valley Winery by state alcohol regulators, who said the company was not allowed to serve its own wines at its restaurant in Bolton. A strong public backlash followed, embarrassing the ABCC, which Goldberg oversees. A bitter political fight last summer over the state’s so-called franchise law, which effectively binds brewers to their distributors in perpetuity, also figured in Goldberg’s decision to convene the task force. “Any change definitely has us nervous about the jobs we’ve created and the revenue streams we have,” said Rob Burns, president of the Massachusetts Brewers Guild industry group. For example, Burns is worried distributors will push to bar breweries from operating onsite taprooms, increasingly a major source of revenue for small beer-makers. His group wants the state to allow all breweries to operate taprooms, and sell beers made by other companies. Brewers also want changes to the franchise law so they have more freedom in choosing their distributor. But such proposals are likely to encounter stiff opposition from wholesalers, who last summer successfully killed a bill that merely called for them to meet with brewers about the franchise issue. The Beer Distributors of Massachusetts declined to comment. Goldberg acknowledged that competing interests threaten to stymie the task force’s efforts at consensus. But she said that after the Nashoba flap and pay-to-play scandal, she felt obligated to act. Other businesses are worried changes to the law will bring unintentional consequences. For example, a 2014 measure allowing consumers to mail-order wine from vineyards in other states accidentally invalidated a provision allowing local farmer-wineries to distribute their own wine and cider. “I hope there’s a lot of scrutiny . . . to make sure we’re not unraveling the entire system,” said Frank Anzalotti, the executive director of the Massachusetts Package Store Association. Anzalotti’s members would like to see clearer rules around pricing. Wholesalers are supposed to offer every retailer the same price on the same product, but after a court challenge to a price-posting law in the 1990s, gray-area volume discounts for big retailers have become more common, frustrating small package stores. The task force will be composed of four legal and political figures chosen by Goldberg, plus one appointee each by Governor Charlie Baker, House Speaker Robert A. DeLeo, and Senate President Stanley C. Rosenberg. Goldberg has picked Lisa Wong, the former mayor of Fitchburg; Kate Cook, former chief legal counsel to former governor Deval Patrick; and Rachael Rollins, former chief legal counsel to the Massachusetts Port Authority. Goldberg’s pick for the group’s chair and Baker’s appointee will be announced later. DeLeo appointed outgoing state representative John Fernandes, a Milford Democrat, while Rosenberg appointed his press secretary, Pete Wilson.